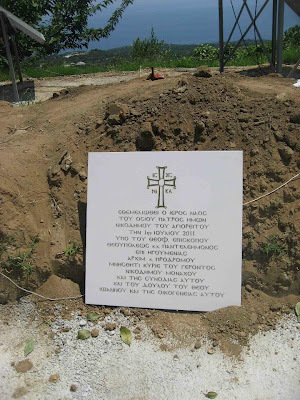 One year ago today, 14 July 2011, the groundbreaking for the Church of Saint Nikodemos the Hagiorite on the site of the Cell of the Skourtaion took place in Karyes. As is known, St. Nikodemos the Hagiorite lived in the Cell of St. George, also known as Skourtaion, and reposed here in the year 1809. 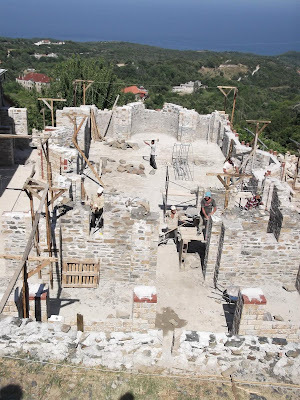 Today, one year later, work continues building the church, as the photographs show.